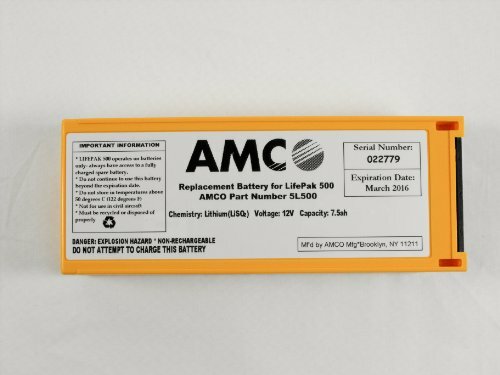 LIFEPAK® 500 Replacement Battery Replacement Lithium battery pack for LIFEPAK® 500. "Low cost-long life replacement battery for all LIFEPAK® 500 units. " Note: These are new manufactured batteries and not refurbished units. Each battery contains the highest quality components manufactured to meet or exceed FDA requirements. Shelf life up to 5 years.